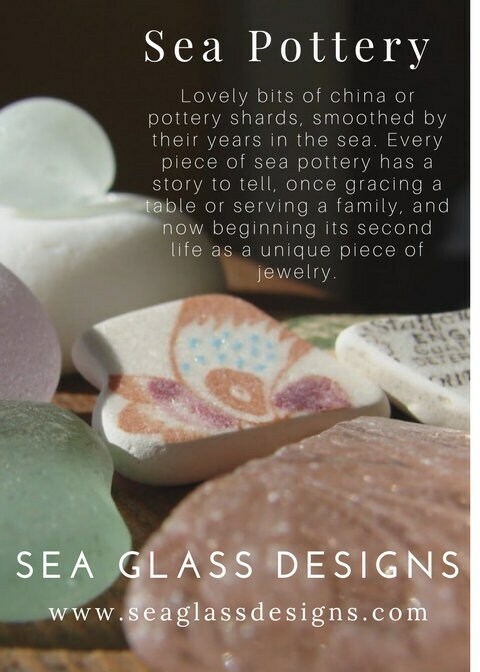 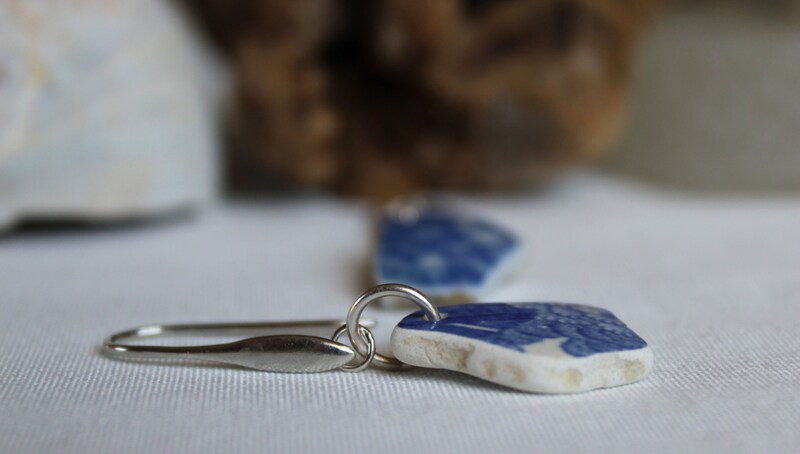 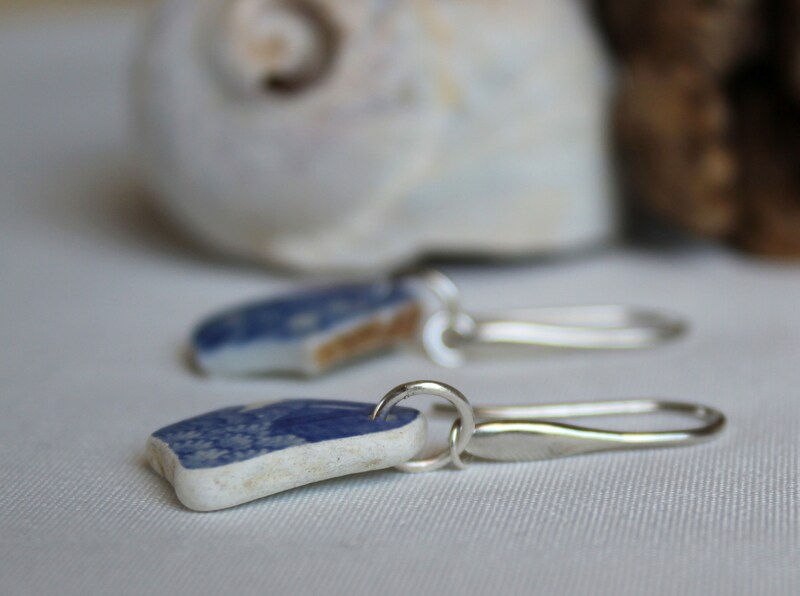 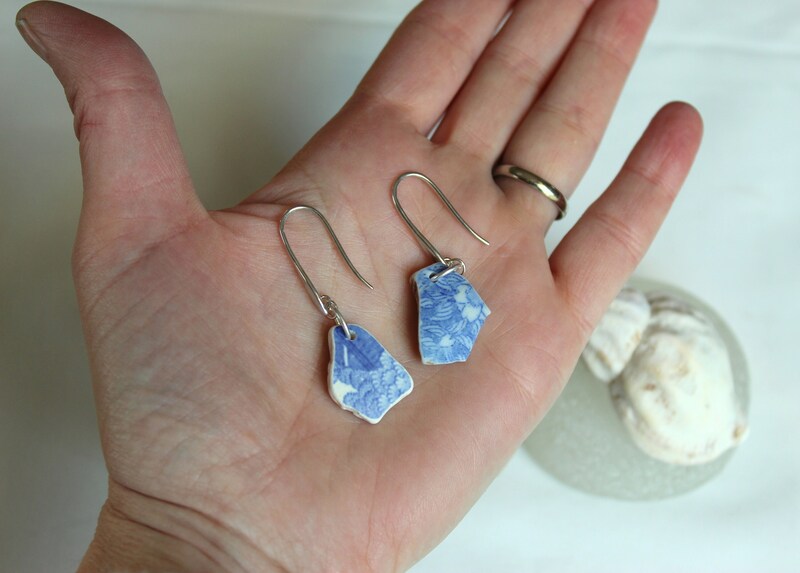 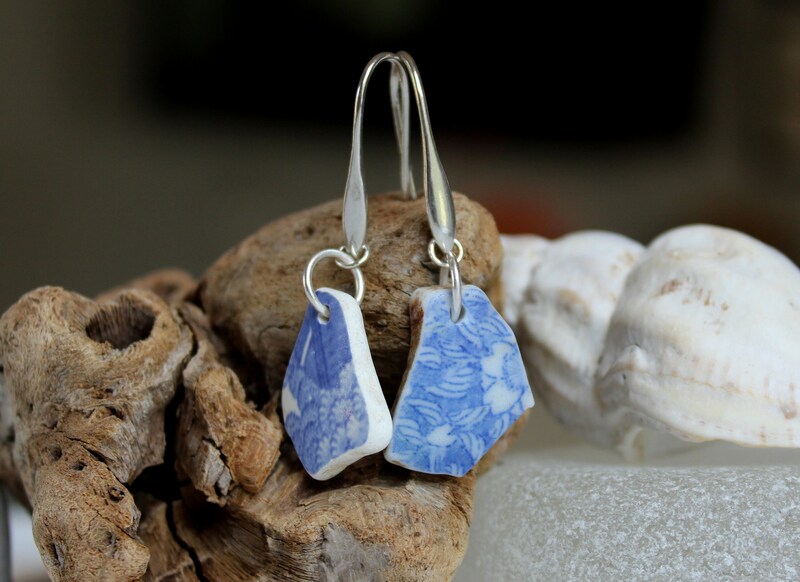 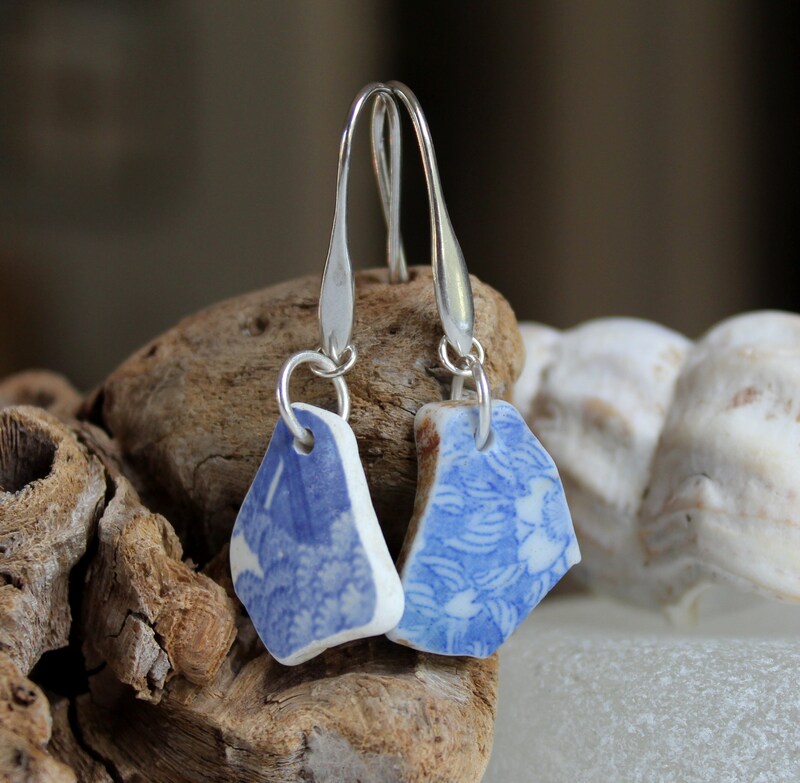 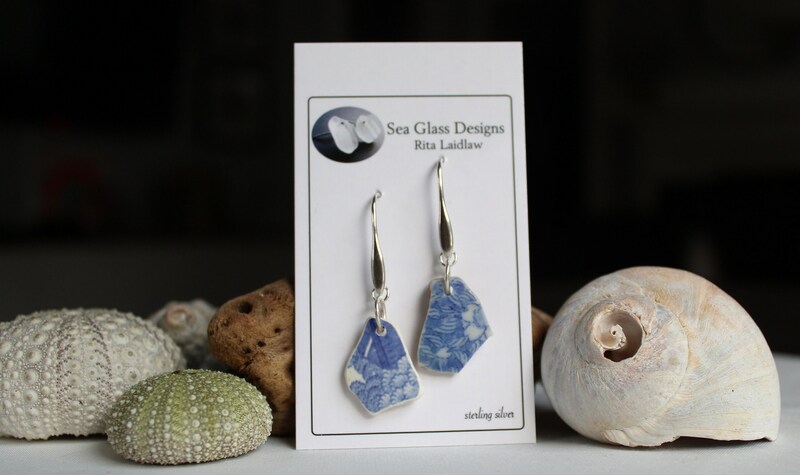 Our Sea Sisters earrings feature pieces of genuine sea pottery gathered from Nova Scotia beaches, dangling on paddled sterling silver earwires, a marriage of old and new. 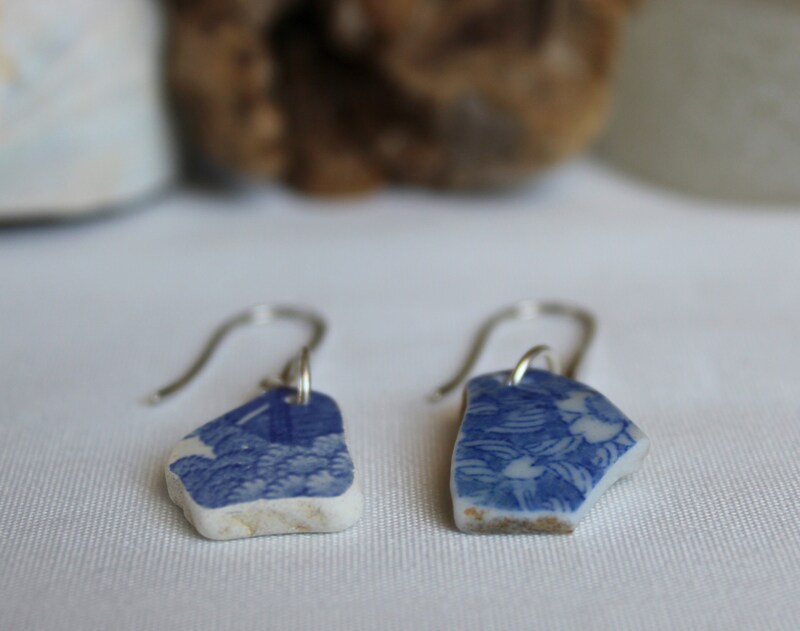 The blue and white pattern is original to the china pieces lovingly smoothed by the sea. 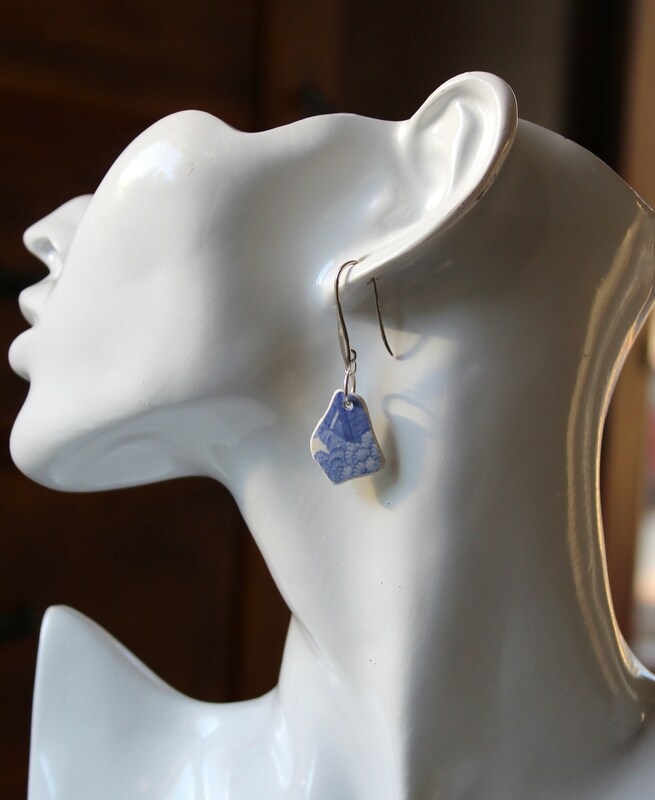 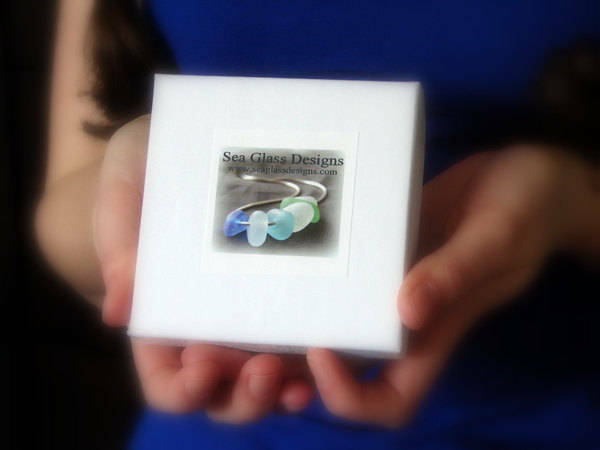 The earrings measure 1 7/8 inches in length.